Beautiful new home w/ hard to find finished walk-out basement. Large kitchen w/ stacked cabinets, herringbone backsplash, farm sink, gas range w/ hood, quartz counters. 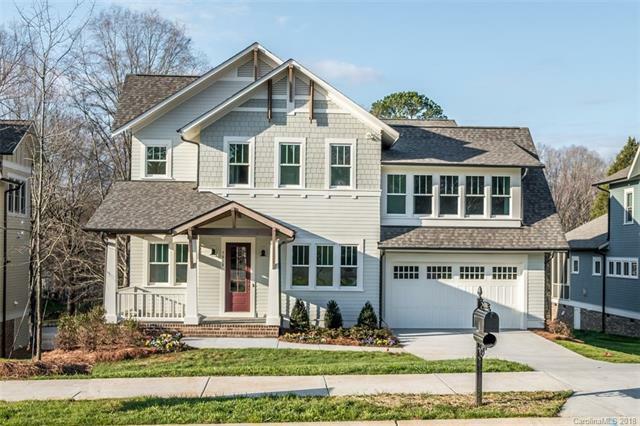 High ceilings, open floor plan, hardwoods, gas fpl, built-ins, coffered ceiling, screened porch, garage. All baths have upgraded tile & quartz counters. Finished basement has a large rec room, bedroom, full bath, storage room, & doors out to a patio. Large lot overlooks a pond & common space for the 4 new homes to enjoy. Sold by Conrad Klein Real Estate. Offered by Saussyburbank. Copyright 2019 Carolina Multiple Listing Services. All rights reserved.